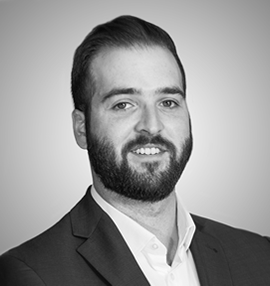 Mike Gosine joined the Calgary team in 2016 and he brings drive, energy, and enthusiasm to Summit Search Group. Mike is dedicated to connecting top talent with his clients and he aims to develop meaningful, productive and constructive connections. Mike holds a Bachelor’s Degree in Management from the University of Lethbridge and he has diligently been building his career in Sales & Recruitment over the last several years. Mike started his sales career in the Alcohol and Beverage industry, where he was consistently recognized as a top performer. He then joined a national IT recruitment firm, where he specialized in contingent labor staffing for IT projects. His success in recruiting is a result of combining his strong work ethic with his customer centric approach to business.